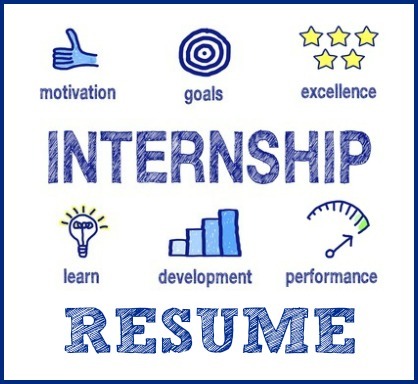 A powerful internship resume objective is essential to stand out as the right internship candidate. 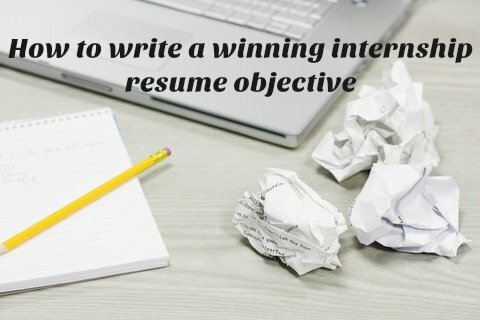 Find out how to write an effective objective and get your resume noticed. Writing a resume is tough. It is a key document in establishing your career and you want to be sure you've got it right. The single sentence resume objective that follows the format of "what-I-want from an internship" lacks the necessary impact. Expand your objective to include a persuasive summary of why you are the right internship job candidate. Highlight your relevant skills and competencies in a well-written objective statement. "Seeking a summer internship with the Grey Group where my strong analytical and problem solving skills will be utilized. My marketing studies and part-time work experience in market research will provide solid support to your marketing department"
"An internship with a well-respected accounting firm which utilizes my accounting knowledge and the discipline and focus that I bring to my work. I am committed to developing my career path as an Accountant and to expand on the work experience I gained last summer as an intern for Gamble & Jones." "Seeking an internship position to explore career options in the IT sector. A hard-working and self-motivated graduate student in Computer Science, I have completed advanced projects, consulted in the computer center and tutored undergraduates." "An internship with a leading media company which provides the opportunity to expand my knowledge as a Journalism major. My experience as editor of the campus magazine and my strong writing skills ensure that I will make a positive contribution to your organization." "To obtain an internship in a healthcare facility to further my studies in Nutrition. Experience and knowledge gained as a Dietetic Intern at Rosen Hospital and as a field worker at Livingstone Hospital can be put to valuable use in your facility." "To obtain an internship working with experienced mechanical engineers that will utilize my strong design and analytical skills. An Engineering G.P.A. of 4.0 and IEEE membership attest to my hard work and enthusiasm for this profession." When writing your internship resume objective keep in mind that the employer wants to know what you can bring to the internship position, not just what you hope to gain from it.